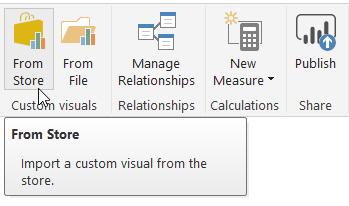 These tools on the HOME tab of the ribbon make it easy to import a custom visual. 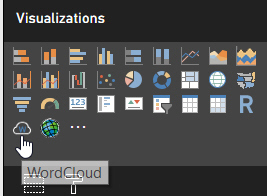 Just find the visual you want to include, then add it. 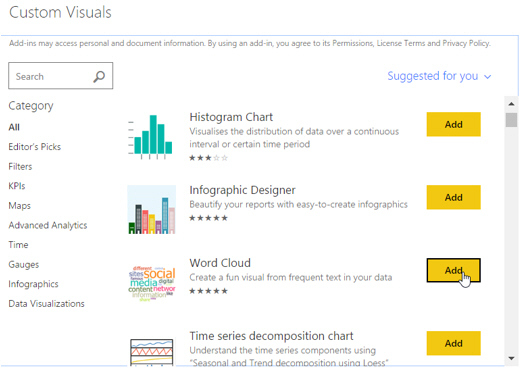 The visual is imported directly into the report. This is so much easier than it used to be! 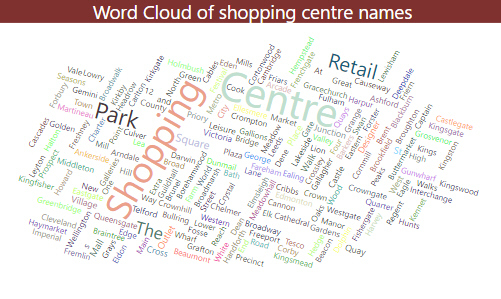 The word cloud shows that (unsurprisingly) Shopping is the most commonly used word. One oddity: it seems that the format painter doesn't work for custom visuals. This has probably always been the case, but I've only just noticed it.